Ohm’s work was carried out using metal conductors and the law also applies to certain other materials. We have mentioned the need for constant temperature, but if the law is to be obeyed then all physical conditions must remain constant. 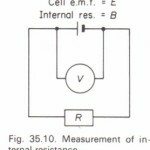 For example, the resistance of some conductors will alter if they are bent or placed under tension or if put at right angles to a strong magnetic field. 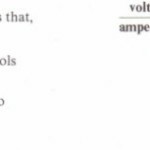 Ohm’s law does not apply to semiconductors or rectifiers (chapter 44), nor to the conduction of electricity through gases.